Microsoft has really been improving their flagship operating system product consistently over the years and in the recent Microsoft Event that happened last month, the company has announced a new build which will be released real soon called the Windows Creators Update. Along with this new update are awesome features and new tools that would surely surprise you in many ways. 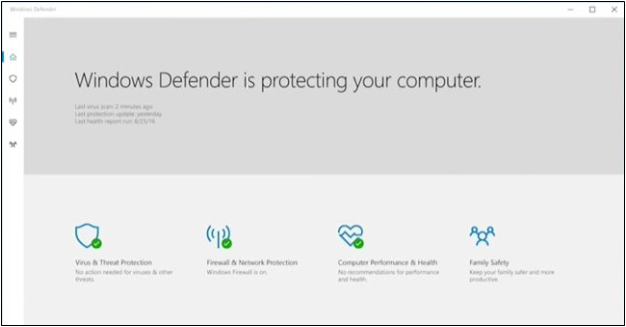 One of the improvements that were done to it is how Windows Defender works and looks like. Currently, this tool already works efficiently in protecting your computer from viruses and other forms of malware but it still looks like the old versions back in Windows Vista and Windows 7. In this article, we will be showing you all of the new features that are going to become available in Windows Defender once the Creators update of Windows 10 gets released so if you’re excited about it, you better get the first look into it right now! You might have received a report from Windows Defender in the Action Center section of your Windows 10 machine but just ignored it since you already know that the built-in tool is doing its job. Yes! Much has been done by Microsoft in improving this built-in security and maintenance tool in terms of its performance but not that much on how it looks. In case you haven’t seen yet how Windows Defender looks like in your Windows 10 computer then you need to take a look at the screenshot below. As you can see, it still looks identical to the version of Windows Defender that were made available for older Windows editions such as Windows Vista and Windows 7 and it was even called Microsoft Security Essentials back then. This security tool was offered for free and is available for download to interested users until now. 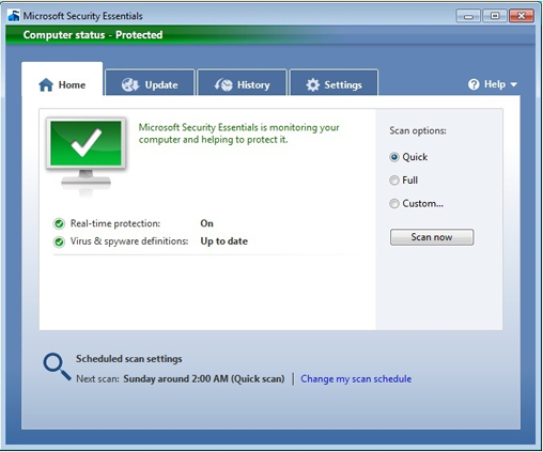 The old Microsoft Security Essentials tool looked like the one that is shown below. But in the upcoming Windows 10 Creators Update, the Windows Defender tool will be having a better-looking interface and additional features to protect your machine better! Based on the event and the images shown by Microsoft for Windows Defender, it would now look like the one that is shown below. As you can see, it is now going to appear like it’s taken the interface of a modern or universal app! Very exciting as Windows 10 Creators Update also has even more features to show off aside from this one. This initial look isn’t the final product yet as there are still some other things that Microsoft might include or improve before the final one comes out. All we can do now is speculate and base our hopes on what has already been said during the Microsoft Event last month. Here’s the list of what the new Windows Defender would include in its latest version that’s coming out real soon! Microsoft has made Windows Defender to perform even better in protecting not just you and your computer or other Windows devices but even your family and your network with the new integrations for Family Safety and Windows Firewall already being brewed by Microsoft. With this integrations, we can expect that Windows Defender will now show notifications in the Action Center about Family Safety settings as well as Windows Firewall alerts. Wouldn’t that be great? Just imagine a tool that helps you get updated with what’s happening on your child’s online activities and protects you from intruders coming in through your network and Internet connection. That’s just one of the great features that we can find in the new and upcoming version of Windows Defender. There’s still more! Just read on! With all of the viruses and other forms of malware that can potentially infect your Windows 10 machine, Microsoft wants to provide you with a tool that would become an all-in-one place for managing, maintaining and even changing some aspects of the security features with the new Windows Defender. What’s good about this upcoming version is its adaptability on other Windows devices and not just on your PC or laptop. Just imagine a tool that can adapt to both the Desktop and Mobile environments and works smoothly on both. That’s what we can actually expect judging it from the screenshot of the new Windows Defender that we’ve shown above. Aside from providing better integrations with other security features that are available in Windows 10, Microsoft has also redesigned the whole interface and they seem to have totally abandoned the tool’s old look which inclined more to the Desktop environment. Yes! Looking into the screenshot of it that we’ve given earlier, you should be able to see how the new Windows Defender looks more like a modern/universal app which works both on keyboard and touch devices. With this redesigned look, users would surely love how things work in it and how it resembles the universal apps which is the new trend in the latest editions of the Windows operating system. Your device’s safety should always be of top concern if the files and other important stuff in it is to be preserved. Windows Defender’s new version that’s going to be included in Windows 10 Creators Update will be able to give you regular updates about your computer’s security and even issues about your system’s overall health. 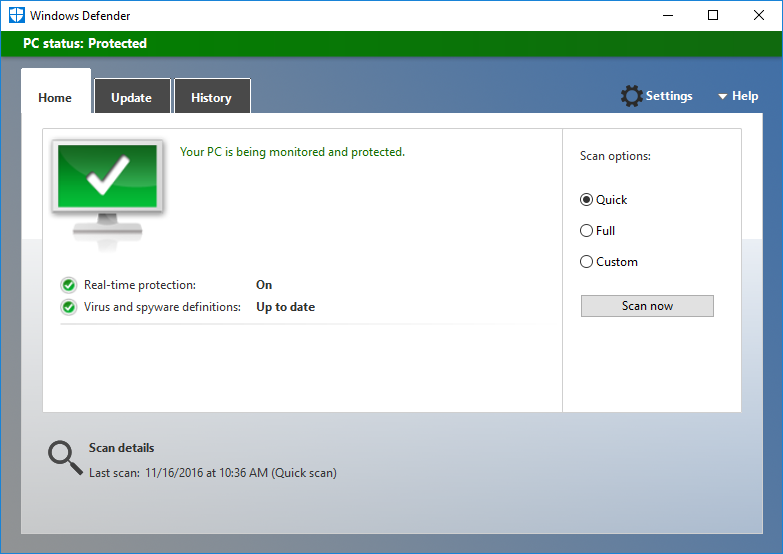 Windows Defender being able to give updates through the Action Center isn’t really a new feature but with the regular security and system health notifications, it would surely be a more effective tool in keeping your machine in good shape. What More is Coming in the Upcoming Windows 10 Update? We’ve only discussed a few of the features in Windows Defender as we’ve seen it from the Microsoft Event last month and as we’ve said earlier, these changes aren’t final yet. Microsoft is still in the process of creating the final product so all we can do is watch and wait. There’s been a video shown by Microsoft in the event that shows many wonderful features found in the upcoming Windows 10 Creators Update both in performance and looks and we’re very thrilled to have it real soon. Which aspect of Windows 10 do you want some updates and improvements on? Did you ever wish that there was a universal app version of a certain security feature found in the current build that you are using? Don’t hesitate to let your voice be heard and who knows, it would also be included in the upcoming build.